An unforgettable day for a great combination of Pompeii with Mt. 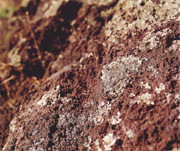 Vesuvius, the responsible of its destruction. Departure from Your hotel with a Mercedes vehicle (with air conditioning) with an English-speaking driver. When You arrive to the excavations of Pompeii, You’ll find your private English-speaking guide to visit together the ruins – roughly 2 hour visit. 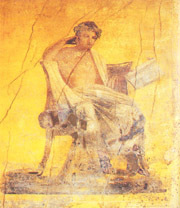 Pompei holds an intense fascination for visitors today. Following the eruption of the volcano Mount Vesuvius in the year 79 AD, the thriving and prosperous town of Pompei lay buried and forgotten for hundreds of years, and excavations still continue, giving us treasures from the Roman period. After the visit of homes with their original frescos, Thermal baths and other public buildings, You leave the ruins (and your guide) and You have free time for lunch. 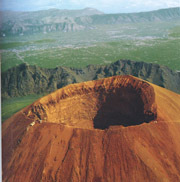 Then, You continue Your tour with Your driver up to the height of 3,000 ft on the volcano. Up there, You’ll have 90 minutes of free time and You can walk to the very top of the crater and admire the splendid panoramic views across the bay. Remember to bring comfortable shoes (not sandals) and your camera. Mount Vesuvius dominates the Bay of Naples. It is the only active volcano on the mainland of Europe. When booking, it is advisable to check with the Tredy Company the availability of the guide and especially the time of day to visit Pompeii in order to avoid the thousands of tourists coming from the cruise ships to visit Pompeii..